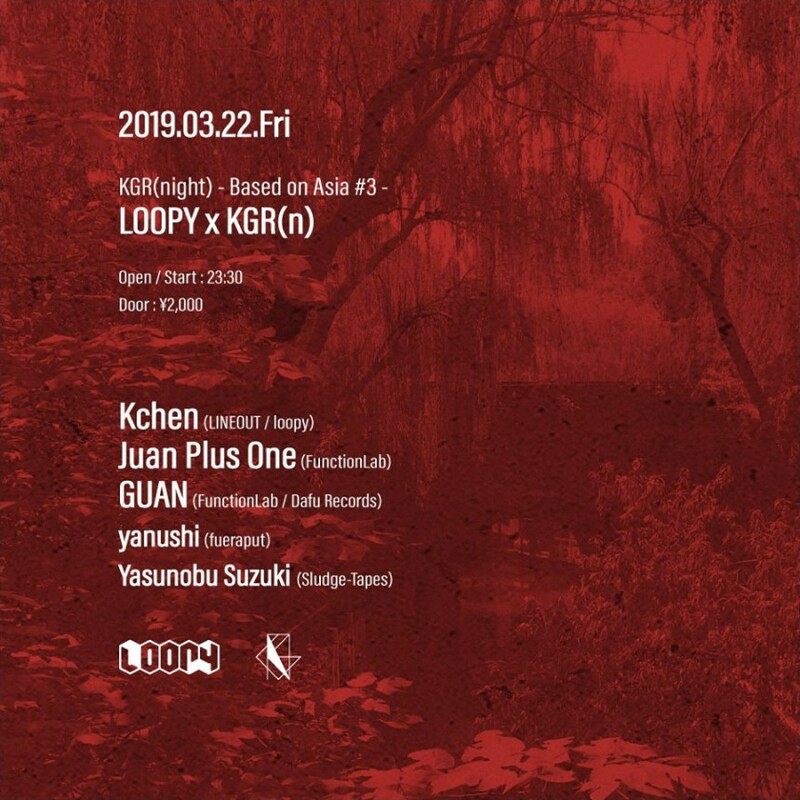 It is a collaboration event with “Loopy” at the venue in Hangzhou, China and “KGR (n)” at the venue in Tokyo. GUAN, Juan Plus One and Kchen are involved in the establishment of Loopy. They actively host events in Loopy and “All” in Shanghai. GUAN and Juan have launched a label called “FunctionLab”.